As Black Panther continues to break box office records, fans have been taking to social media to quote the entire speech of M'Baku, which quickly went viral. However, a new challenger has stepped up to the M'Baku challenge and everybody can go home now because a young boy from Florida named Jordan has taken the crown. Jordan took the challenge a step further and played multiple parts, gaining the attention of Michael B. Jordan and the rest of the internet. According to Jordan's mother, he's seen Black Panther 5 times and memorized M'Baku's speech as well as the other character dialogue all on his own. The short scene that Jordan acts out, in costume and even some makeup, is when Winston Duke's M'Baku challenges the newly crowned T'Challa (Chadwick Boseman) for the throne of Wakanda. Jordan utilizes different costumes as well as accents to nail the scene and Black Panther fans are freaking out over the skills of the young actor. Michael B. Jordan (Erik Killmonger) commented on Jordan's video saying, "Lil man you nailed it!!!!" There have been numerous adults taking a swing at the M'Baku challenge, which has caught the attention of M'Baku actor Winston Duke. Duke has yet to comment on young Jordan's videos, but he was clearly enjoying all of the other videos that had been posted over the weekend featuring his speech from early on in Black Panther. The challenge quickly went viral and there have been some pretty good reenactments, but they all pale in comparison to Jordan's incredible skills. Black Panther, like Jordan and the M'Baku challenge, is dominating the box office and is currently at over $900 million, after a little over 3 weeks in theaters. The movie is quickly jumping up to the billion-dollar mark and is currently number 9 on the list of highest grossing movies of all time, which helps to explain why the M'Baku challenge went viral so quickly. Many fans have admitted to seeing Black Panther multiple times, even admitting in front of Chadwick Boseman that they've seen a bootleg of the movie. As Disney head Bob Eiger mentioned last week, the movie is putting itself in direct completion with other movies under the Disney umbrella, which keeps ringing to be true with every box office milestone that Black Panther reaches. As Black Panther continues to break records and gain popularity, the M'Baku challenge should be over at this time. Jordan destroyed all competition without question and deserves a shot at a role in the sequel. Black Panther is still in theaters (it hasn't even been a month) and it's probably safe to say that Jordan will at least go and see it one more time before it exits theaters. 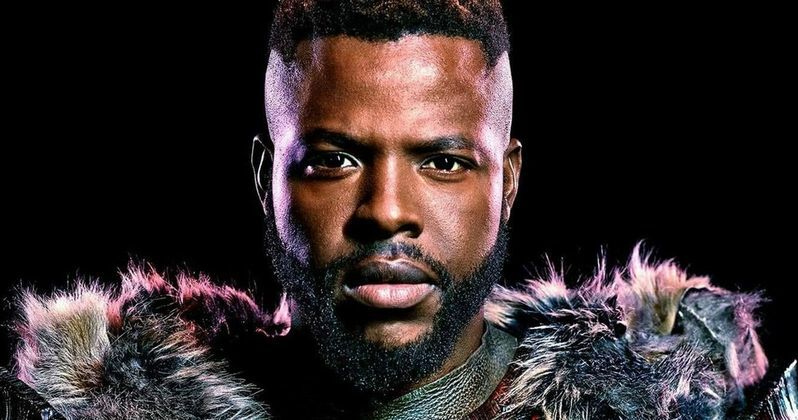 We've collected some of the best of the M'Baku challenge below, but you only really need to watch Jordan's, so you've been warned. Check out Jordan's M'Baku challenge below, courtesy of Bad Girl Bri Bri's Instagram account.